On this page you will find a series of links and information about key resources which may be useful to you as a Family Carer. 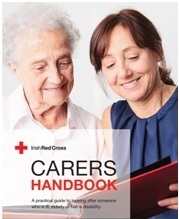 The Carers handbook is laid out in an extremely accessible format, allowing people ‘dip in’ to read the relevant section for them as challenges arise. With sections on home hygiene and care skills, and advice on personal care and communication, the handbook will assist in the provision of a better quality of care and a happy, safe environment for both the recipient and the carer. 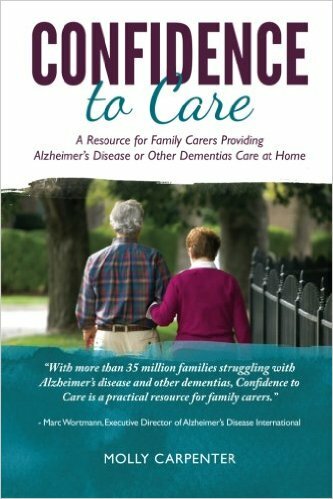 Confidence to Care is the first book published by Home Instead Senior Care, Ireland’s largest home care provider, to help families caring for loved ones with Alzheimer’s disease and other dementias. The book combines personal stories with practical techniques drawn from caregiving experiences from family caregivers and professional Home Instead caregivers and internationally recognised experts. The book focuses on the most common issues associated with Alzheimer’s disease and other dementias and helps family carers deal with caregiving situations they never thought they would have to face. Each chapter offers plenty of care approaches and prevention tips, and begin with a relevant and moving real-life family caregiver story. The book is available here online via Amazon.co.uk. Take Care Of Yourself is a web-based resource intended for family carers of people with dementia. The aim of the Take Care of Yourself web resource is to develop and promote the resilience of family carers of people with dementia, by helping carers like you navigate the information and supports relating to dementia that are available in the Republic of Ireland. The resource seeks to support carers through the medium of ‘carer story’ videos, as well as tips and advice from family carers who have experience of caring for a friend or family member with dementia. You can view the website here. This comprehensive booklet from Family Carers Ireland outlines the main benefits & entitlements available to Family Carers in Ireland. You can download it from here. 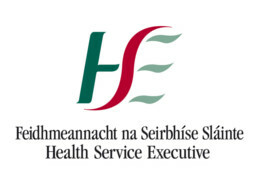 This dedicated section of the HSE website contains information and signposting which you may find useful. Ths dedicated "Carers Checklist" from Citizens Information contains information on rights and entitlements for Family Carers in Ireland. Caring for a loved one with Alzheimer's disease or another type of dementia can be a very positive and rewarding experience, but it can also leave you feeling stressed and isolated. 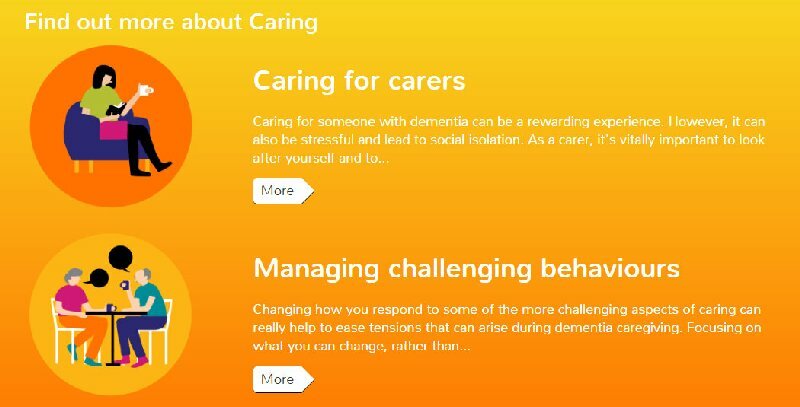 On this website you will learn how the stressful aspects of caring can be minimised and the positive experiences maximised by looking after your social and emotional needs and by managing how you respond to challenging behaviours. The website is available here. The Alzheimer Society of Ireland provides supports, resources and publications to Carers of people with dementia. 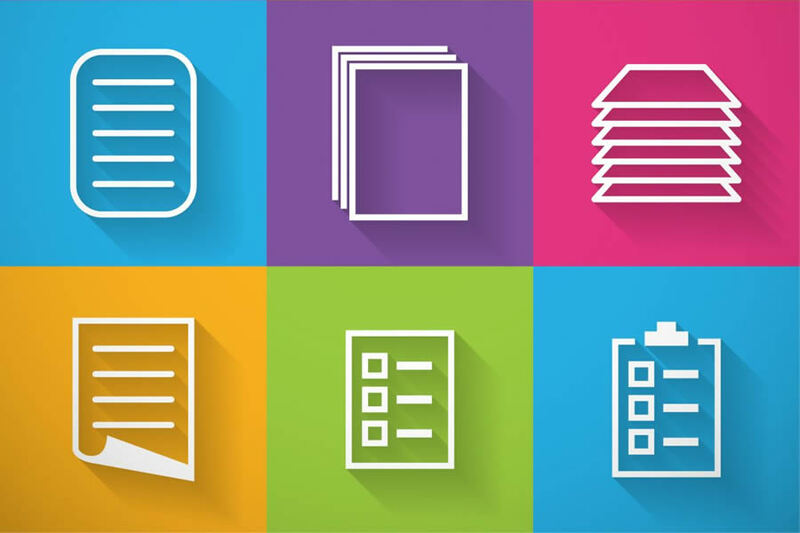 Family carers can order free publications by calling the free and confidential Helpline 1800 341 341, Monday to Friday, 10 am to 5 pm and Saturday 10am to 4pm. Copies are posted free of charge. You can find more information at this link. The Dementia Services Information and Development Centre (DSIDC) is a National Centre for excellence in dementia and is committed to best practice in all aspects of dementia care. You can find some of their key reosurces for Family Carers here. 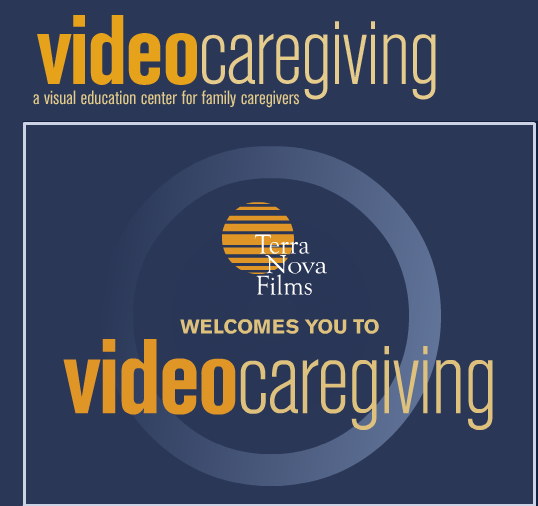 Videocaregiving.org is a website from Terra Nova Films dedicated to "streaming" visual educational material to family caregivers. There are many informative caregiving websites: what makes this site unique is its almost exclusive use of video in focusing on the challenges faced by the caregiver. The videos are designed to be short, simple and direct, and are able to be accessed easily by the user at any hour of the day or night. Many of the videos follow a documentary format that uses real people and follows real situations. The site can be accessed here. Family Carers Ireland have put together a series of Frequently Asked Questions on the topic of the March 2017 change to the PSRI Voluntary Contribution Scheme, and what it means for Family Carers. You can see the FAQ's here. If you’re a busy family carer, your pension is probably the furthest thing from your mind. However if you’ve had to give up work, or take extended periods away from work because of your caring responsibilities, your entitlement to a State Pension (Contributory) may be affected. This guide provides simple information to help you understand the pension system, and gives practical suggestions to help ensure you maximise your pension entitlement when you reach pension age. You can read Family Carers Ireland's guide to the Pension System ontheir website, at this link. Caregiver self-assessment questionnaire: How are YOU? Caregivers are often so concerned with caring for their relative’s needs that they lose sight of their own well-being. This Self-Assessment Questionnaire (from National Alliance for Caregiving in the US) may help you understand if you are doing so. Click here.